Returns a string with the localized name of this layer. Sets the parameter described by param to value. Get the value of the specified parameter. Sets z_range* fields of specified ContextParams cp. Wrapper for the subcanvas changed signal. Sets the time of the Paste Canvas Layer and those under it. Bounding rect for this layer depends from context_params. Checks to see if a part of the Paste Canvas Layer is directly under point. Class of the Switch layer. 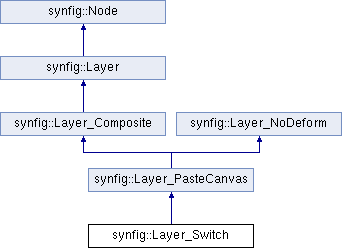 References synfig::ContextParams::z_range, synfig::ContextParams::z_range_blur, synfig::ContextParams::z_range_depth, and synfig::ContextParams::z_range_position.